The BR Beer Scene: Link: Look Away! Look Away! Look Away! Dixie Land. Link: Look Away! Look Away! Look Away! Dixie Land. 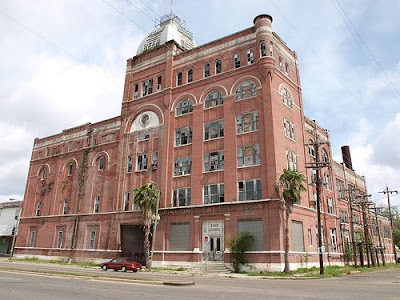 A solid write-up by The Beer Buddha on the Dixie Brewing Company in New Orleans. I must say I completely agree with him. Dixie really is missing out on an opportunity to capitalize on some nostalgia and desire to support local products. We've seen a few new breweries open up in Louisiana recently and it's a shame that the oldest one still around (by far) is currently contract-brewed out of Wisconsin and seemingly doing little to reinvent themselves during the current craft beer renaissance of sorts. It would definitely be nice to have another beer brand Louisiana could call its own and be proud of. Poll: Which City Deserves Google Fiber the Most ?